E-commerce giant JD.com has eliminated the base salaries of an unknown number of delivery drivers in its latest attempt to cut costs, leaving them relying on performance-based pay. 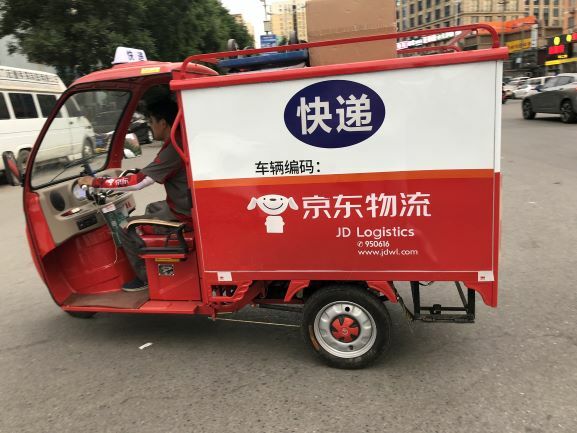 JD Logistics, a decade-old unit of JD.com, has trialed cutting the base pay of delivery workers in some regions, the company said in a statement on Sunday. It did not say which regions. Rumors of such cuts surfaced earlier this month on the job-focused social media platform Maimai, where a user claiming to be a JD employee said the company had eliminated their base salary — the regular monthly wage a worker can depend on making before commissions. JD Logistics confirmed the chatter in a Sunday statement which said the decision was intended to drive better employee performance. This was because since the company had opened up its network to deliveries from individuals and other businesses, the incentives driving employee performance had become insufficient, the statement said. In the cities where base pay has been eliminated, many delivery workers had been making an average of 8,000 yuan ($1,190) per month, the company said. Local news site Sanyan Caijing estimated this would amount to a pay cut of some 15-20%. The company also confirmed it had made some “adjustments” to funding dedicated to housing for delivery workers. In China it is compulsory for employers and employees to pay into company housing funds that employees can later withdraw from to spend on housing. Some Maimai users said the company was now paying only 7% of wages into the fund, down from the previous 12%, though the company’s statement did not say so. JD.com spun off its logistics unit in April 2017. It can deliver 90% of orders within one day, and covers 99% of China’s population, the company claims. In February, JD.com laid off one-in-ten senior executives to reduce costs. The leading e-commerce platform is just one of many technology companies that reduced employee numbers from last year, as dwindling capital, volatile markets and tightening regulations have lashed the sector.